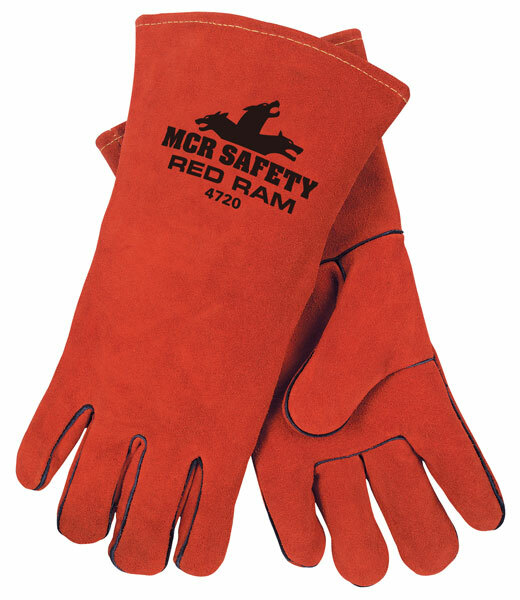 MCR Safety has the perfect welders glove to fit you individual needs. From premium options sewn with DuPont™ Kevlar® thread that provide maximum protection in conditions where users are exposed to heat, flame, and spark, to rugged economical options that keep you safe and secure, we have you covered. The 4720 is a Premium Quality Side Leather with a 13" 1 peice back and sewn with DuPont™ Kevlar®. It is fully lined and welted and has a limited flammability cuff.